Thomas Faranda was named one of the most exciting speakers in America by “Meetings & Conventions Magazine” due to his high content, ‘bottom-line’ programs packed with examples, stories and global humor. He is the former President of The Hospital Corporation of Chicago, the former National Accounts Sales Manager for The Masonite Corporation and a former candidate for the United States Senate. Thomas Faranda‘s books include The Global Sales Professional and Uncommon Sense Leadership, and he has published over one hundred business articles. 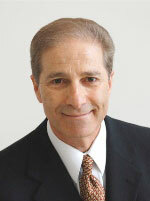 Thomas Faranda has the credibility and experience audiences respect and demand in a featured speaker. He has earned a BS, an MBA in International Business and a Doctorate( abd). He has been a guest lecturer for universities in South Africa, the UK, Australia and was an adjunct faculty professor of business at the University of Minnesota. Few speakers know the global world as well as Thomas Faranda. His clients have included Siemen’s Engineering Germany, IBM Europe, Siemens Medical South Africa, Thermo-King Japan, Ford Canada, GE, Prudential Singapore, Creative Communications India, St. Thomas USVI, INTEL, Motorola, 3M, IBM, Honeywell and other corporations. As an adventurer, Thomas Faranda has climbed some of the tallest mountains around the world. He has raced 100 mile cycling events, competed in triathlons, duathlons, 100k ski races and many other events. He is a pilot, SCUBA diver, river rafter and mountain climber. He donates his time as a board member for several music and theatre arts organizations in the Phoenix area. Nothing you have ever done has prepared you to compete against CHINA. CHINA can steal your customers with lower prices, fast delivery and good quality. In this program, Tom Faranda will explain CHINA's Game Plan for the next decade so you can either compete against China or learn to work with China for mutual benefit. He will use facts, examples and stories to show how China's rapid growth and success affects YOUR bottom line. He will explain the country's development plan, how it is changing and how you can use it to create growth and profit for your organization. Tom Faranda's "STRATEGIC GLOBAL STRATEGIES" for the next ten years will help you develop a profitable five and ten year global plan. They will amaze you and shock you and they will help you deliver a better 'bottom-line' . Tom was correct about the rise and fall of Japan, the movement in the value of the EURO, the rise of Asia and especially the rise of China and India. His well researched 'bottom-line' ideas will help you create global competitive advantages to increase market share and profitability. INDIA has an economy almost as vibrant and fast growing as that of China but built on an entirely different set of goals and principles and with an completely different country development plan. In this program, Tom Faranda will explain India's Game Plan for the next ten years. He will explain the factors that may push India ahead of China in ten years. He will explain how to position yourself for growth and profit in the INDIA market, how to compete against India or work with India to help you create growth and profitability. The most successful sales people in the world are Global Sales Professionals. The art and science of global selling adds a new dimension of sales to build competitive advantages and increase market share around the world. This program will improve every sales professionals skills and especially their GLOBAL SALES SKILLS and help them move to the next level of success. Global retailing has changed faster and more than most businesses in the world. Today it is dominated by the global "Big Box Retailers" and the small but very 'smart' specialty chains. Tom Faranda will highlight thriving and failing retailers around the globe and explain what YOU need to do to thrive in the arena of Global Retailing today. Tom Faranda will show you what is going to happen in the global financial services industry over the next ten years. He will show you who will make money and who will fail--and why. He will show you how both investors and investments are changing and help you position yourself for success in the new world of financial services--a world you can barely imagine even today. Everyone from private equity firms to banks, insurance companies and financial services firms will benefit from this program. Global leaders requires an entirely new set of skills for the successful growth and profit of a global business or organization. Global leaders must master the cultural, lingual, social, legal, political and economic issues of every country in which they do business. They must understand currency fluctuations. They must know how to deal with distributor networks that have been in place for generations. They must have negotiation skills that are specific to each country. In this program, Tom Faranda will explain these unique leadership skills and show us how to master them for global growth and profitability. Tom Faranda will explain how economic, political, social and legal changes in AMERICA over the next ten years will impact your organization and YOU personally. He will discuss currencies, GDP, the national debt and other economic indicators, compare them to other countries and present his ideas to fix these problems. He will discuss how politics will change the social and legal aspect of life in America and offer ideas to turn America around to prosperity. Tom Faranda will provide specific American forecasts of what is going to happen in America over the next ten years and what this means to you and your firm. This program provides an objective view of AMERICA just as Tom Faranda's GLOBAL REALITIES program provides a WORLD view. This is a fascinating, fast-paced program filled with examples, stories and American humor. This is an unforgettable look at our beloved America over the next ten years. Tom Faranda will show you what profitable global firms of all sizes actually do to make money and create a strong bottom line during confused and difficult economic and political times. He will explain global economics and politics and give you a new world view which you can use to establish your specific strategic plan. His strategic and tactical tools will help you create growth and profit.This program is a new look at economics and politics as a tool of YOUR bottom line. This book will be your short and fast guide to understanding global selling as well as international business. Each chapter has a "Faranda Maxim" and an explanation of how to use this 'Faranda Maxim' technique in global selling situations and in life. Each chapter features examples as well as corporate stories that demonstrate both successful and unsuccessful attempts in global selling. Each chapter is focused on one skill and provides a short guide to that skill.